When I first started as a security analyst and then later a portfolio manager, my boss had me read The Intelligent Investor by Benjamin Graham. He didn’t think that a business school education was enough and believed that any security analyst or portfolio manager should be trained in the manner that Graham had advocated. 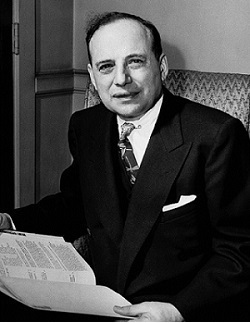 The investment philosophy of Benjamin Graham made sense to me, and having read The Intelligent Investor, I studied Security Analysis using Graham’s theories and methods at the New York Institute of Finance and UCLA. I now teach Security Analysis in the Graham fashion at UCLA. Later, I was influenced by the late Cal Tech Professor Richard Feynman. At Caltech, I learned about paradigms and how they kept you from keeping an open mind and blind-siding you. Feynman also taught me that you should enjoy your work, and if you don’t, you will never be good at it or be successful. He said to not research into areas that are being researched in mass, but research into areas that no one is looking at. This has proved to be most valuable. Our philosophy is dedicated towards investor as distinguished from speculators, and our service is not meant for those wishing speculative gains one year followed by a large decline the next. No, our philosophy is geared to those intelligent investors who want us to purchase sound securities for them. Experience has taught us that while there are many good growth companies worth many times their net assets, the buyer of such shares will be too dependent on the whims and fluctuations of the stock market. By contrast, the investor in shares of say, an unglamorous company can usually consider him or herself the owner of an interest in a sound and expanding business, acquired at a rational price, regardless of what the stock market might say to the contrary. The ultimate result of such a conservative policy is likely to work out better than exciting adventures into the glamorous and dangerous fields of anticipated growth. On behalf of our clients, we purchase high quality government and investment grade corporate bonds and a diversified list of common stocks that have had good track records from the past and bright futures. We believe this investment philosophy can yield handsome rewards. In other words, sound investment principles produce generally sound results. Our assumption is that they will continue to do so. We are not your run-of-the-mill investment firm that picks over the same tired list of securities that every other manager does; neither do we gather assets and then pick other managers to do the investing or heavy-lifting. We are different in that we approach your investments, goals, and objectives holistically. In my opinion, I believe our approach leads to better long-term performance with less risk.